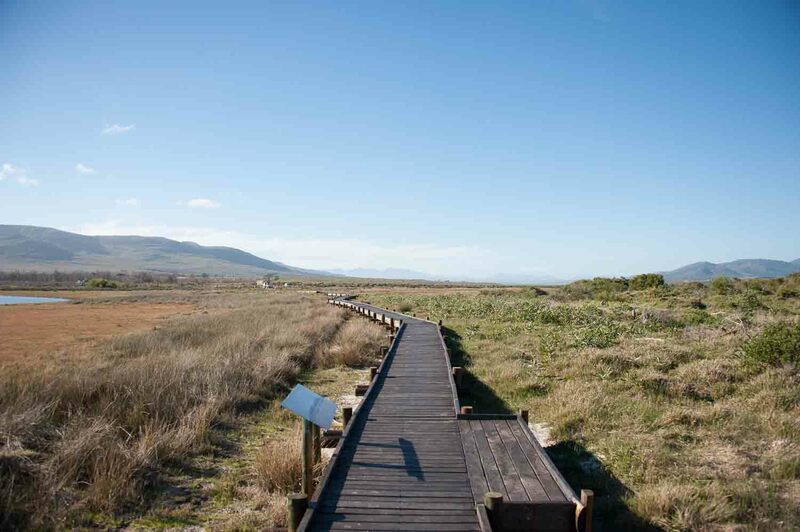 A few kilometres outside Kleinmond on the road to the villages of Botrivier or Hermanus, turn right to enter a wetland area preserved as “Rooisand Nature Reserve” – little Camargue at the Cape. 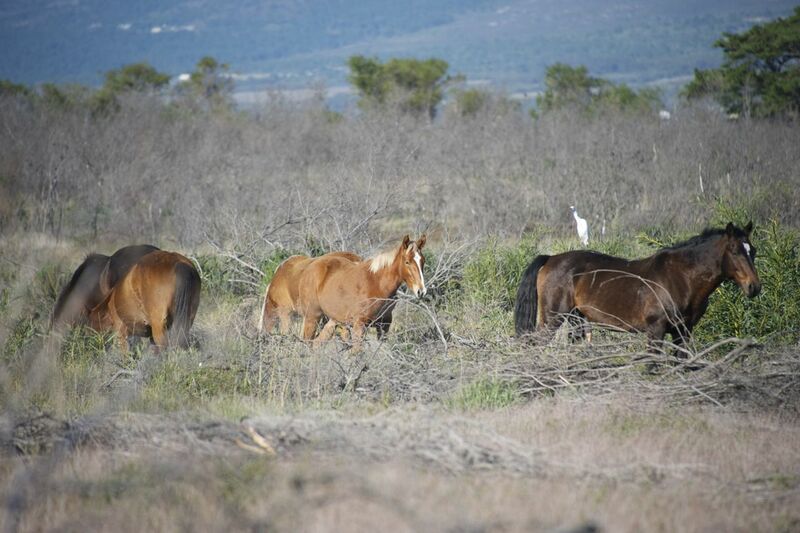 Part of an old herd of feral horses at Rooisand. 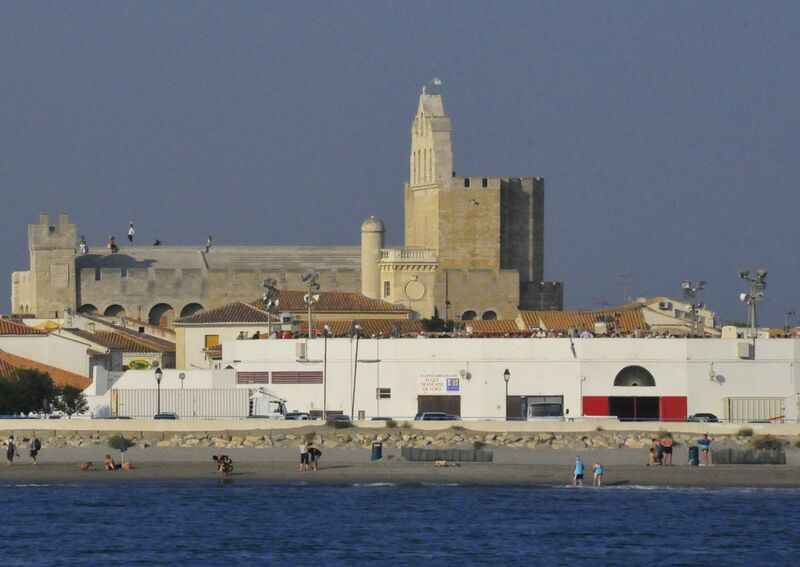 Cathedral of Sainte Maries de la Mer, capital of the Camargue, – a veritable fortress (against the Saracenes) and in front of it a bull ring. During a festival on 26 May bulls are driven through town and motorists and pedestrians are given adequate warning to get out of the way. 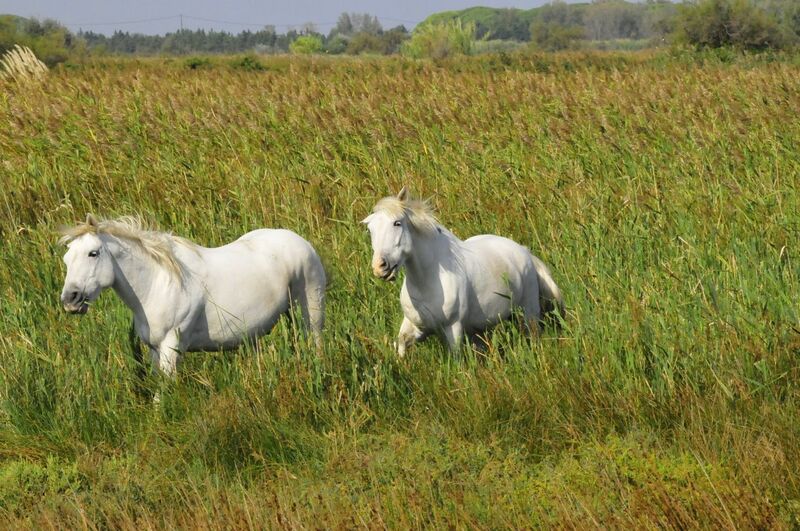 Wild horses of the Camargue near Sainte Maries de la Mere. 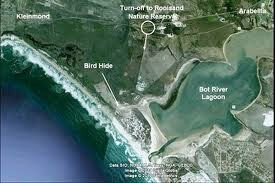 Entering Rooisand via the board walk. 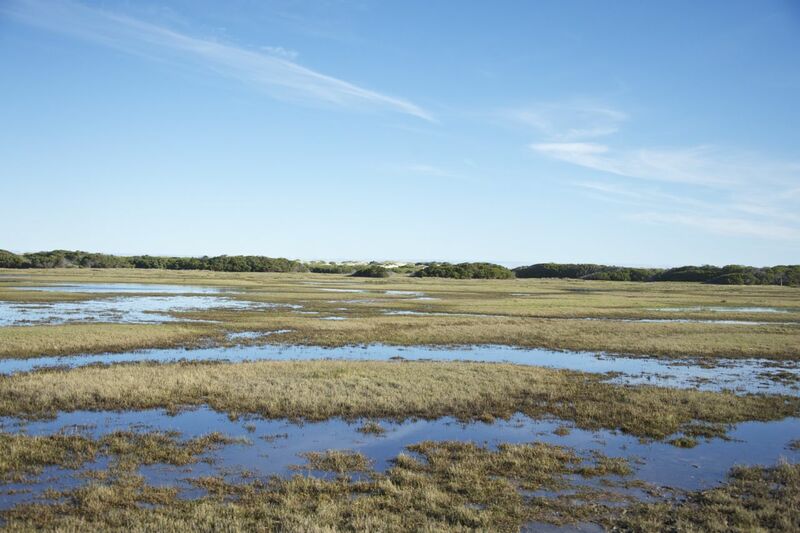 Depending on the seasons this grassland is swamped in winter and dry in summer when you can reach the ocean shoreline dry-shod. 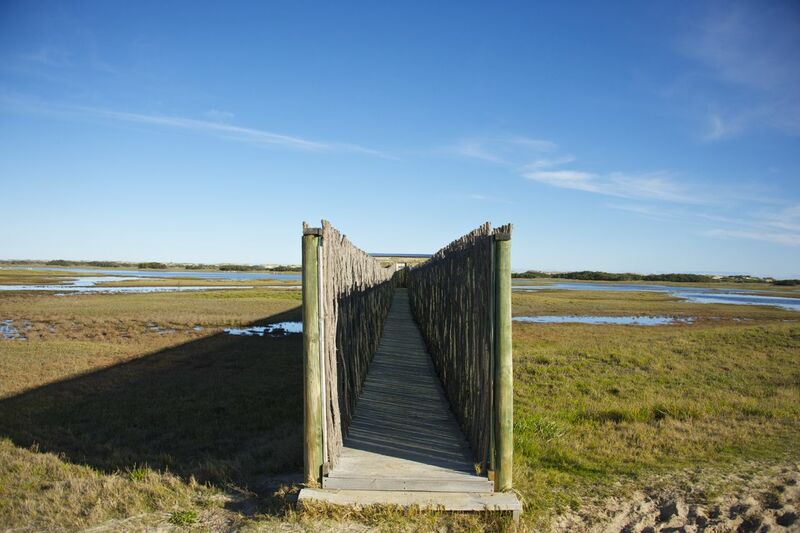 Entrance to the Bird Hide. Inside the hide the variety of bird life you can observe is well documented. 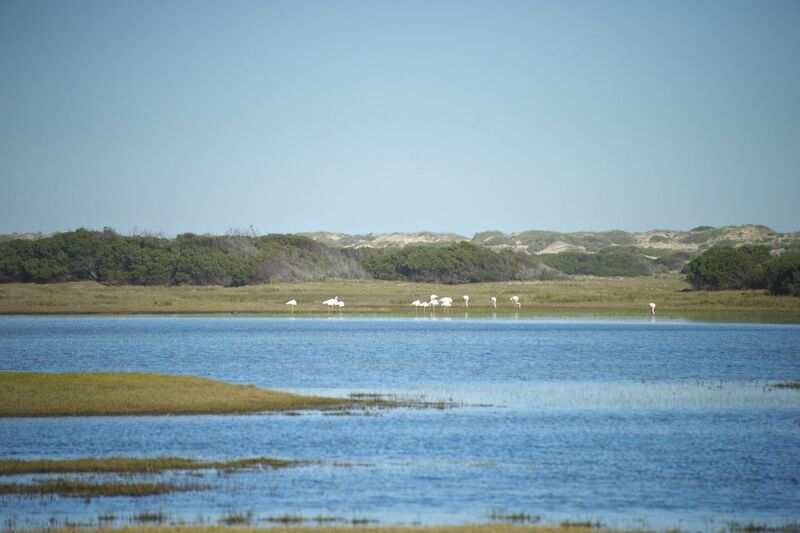 Small groups of flamingoes feeding on the edge of the swamp. 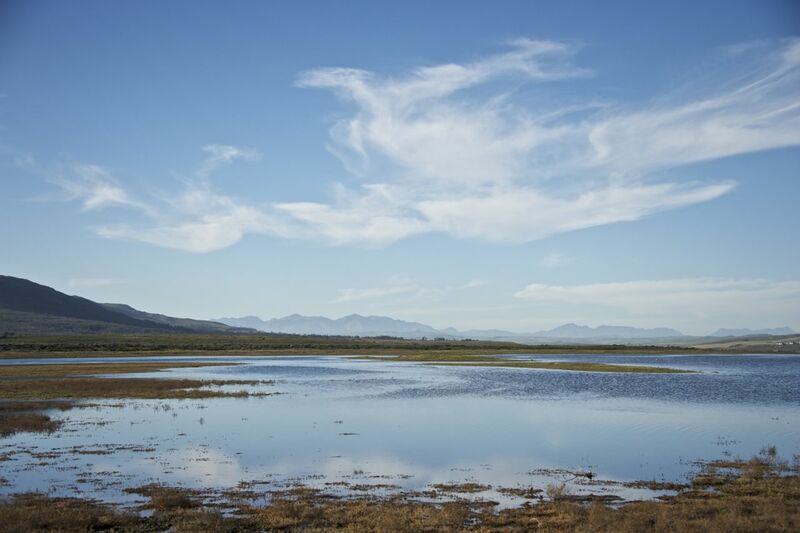 View towards Kleinmond. 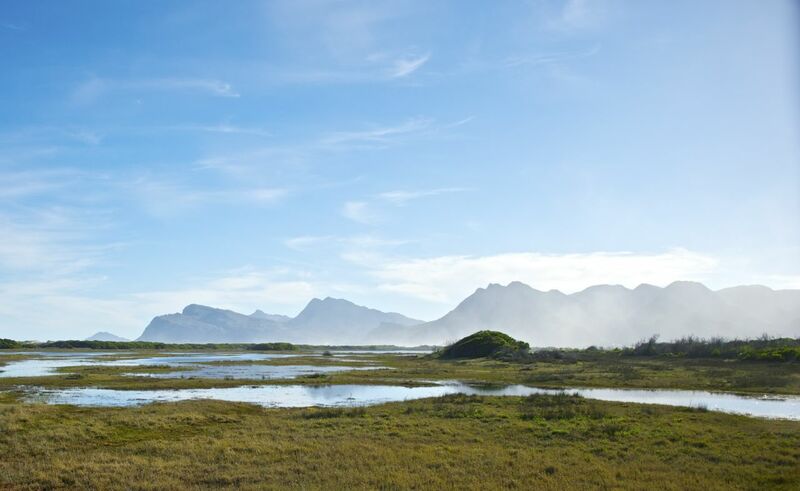 Mountain ranges of the Kogelberg Biosphere Reserve in the background. 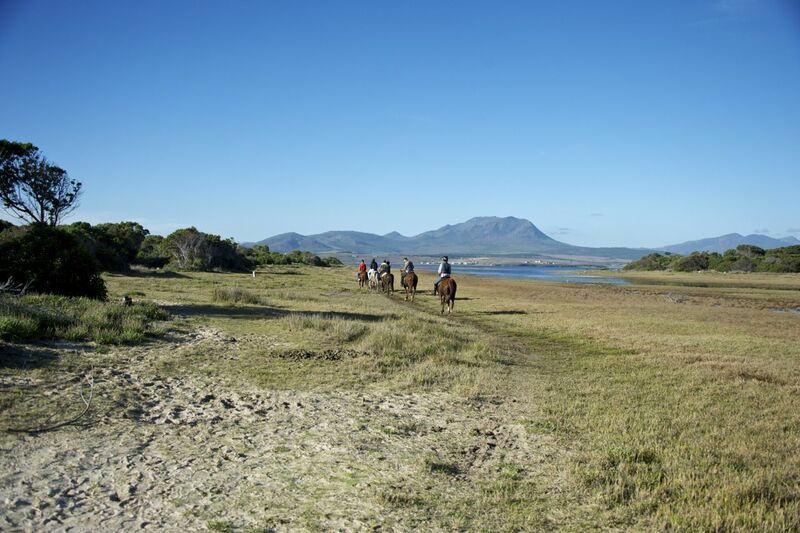 Outside the reserve is a riding stable where you can keep your own horse or have outrides organized. 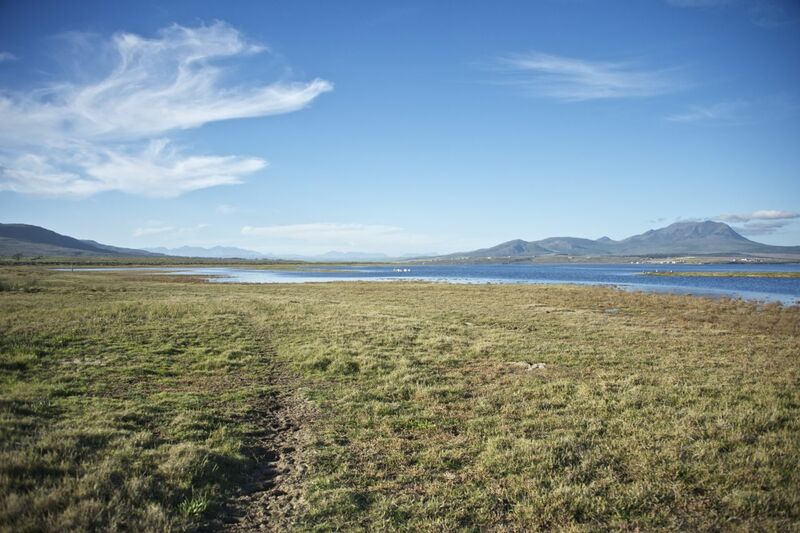 View towards the village of Botrivier. 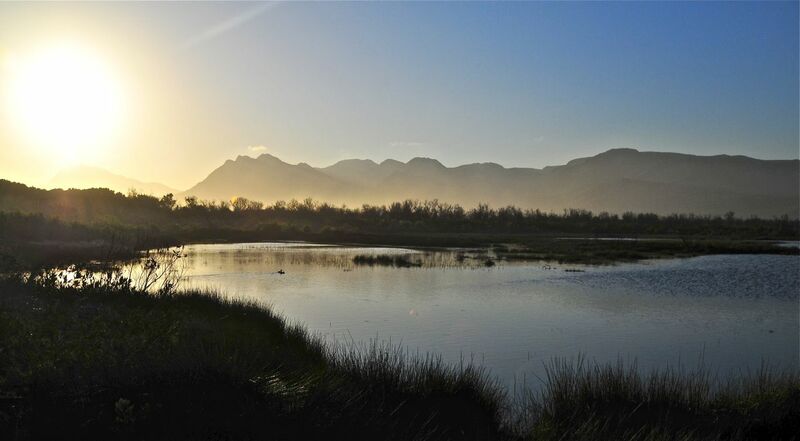 The Botriver lagoon and swamps stretch as far as Kleinmond but shrink away when the Botriver breaks through to the sea after heavy and prolonged rains. A flock of Pelicans navigating in the lagoon. Once in the air they fly with such flair, ease and elegance – it is quite inspiring to watch them gracefully sailing on their wings. From an outing last year late September. Magical photo’s – must visit it – preferably on horse back!